You might have noticed that shop owners have been stuffing their windows with holiday wreaths, tinsel, and most importantly, chocolate Santas - all before I even had the chance to put away my little family of bats! Now I will admit, I am more than excited for Christmas. And I have already listened to one or the other Christmas song. But what on earth am I supposed to do with all these pumpkins? Most of them haven't even started to go bad yet! They look like I bought them just yesterday. So I figured that these darling little cultivars of the squash plant will only start going bad if I make sure they've all been cut open. So that's what we're up to in this weekend's craft! 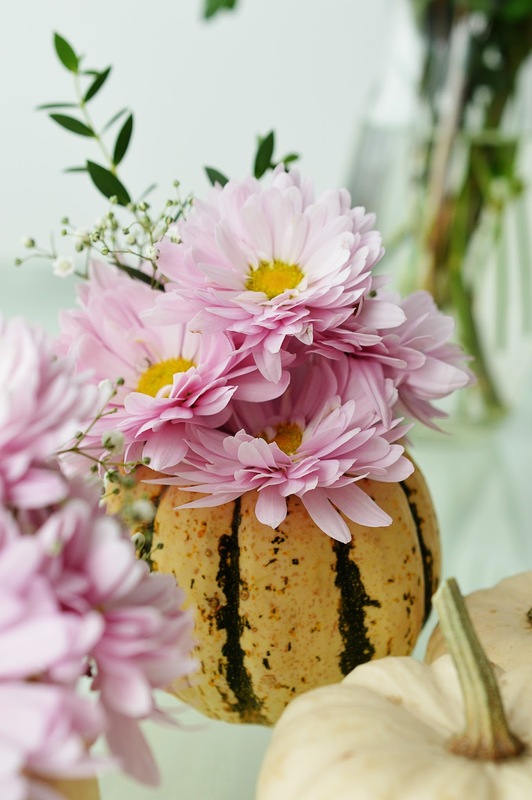 But because Jack-o'-lanterns, too, are no longer permitted, pumpkin vases it is! Luckily, these are just that much cuter. 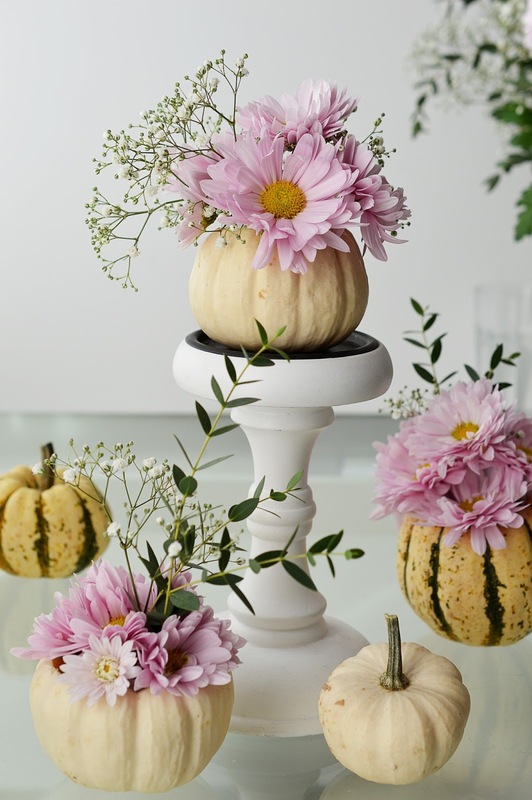 Kind of looks like wedding décor if you ask me. So let me get that rumor straight out of the way. No, I'm not getting married. 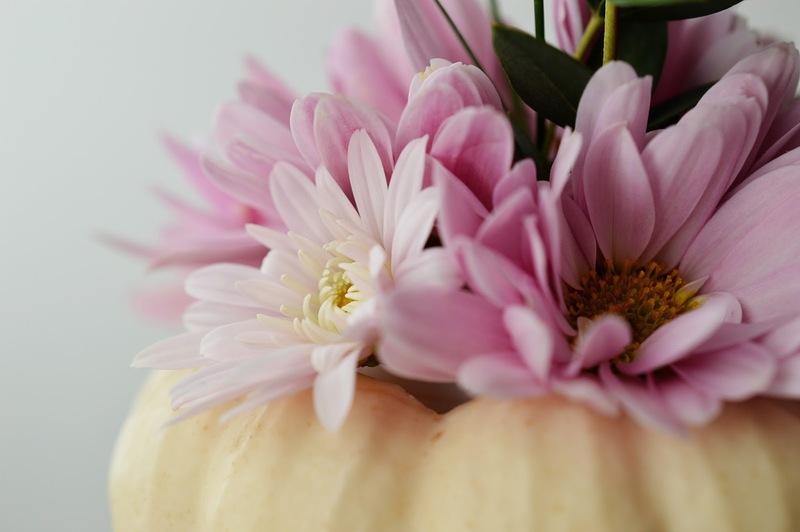 But that doesn't mean these aren't just perfect for a fall wedding! You've got a lonely pumpkin lying around? 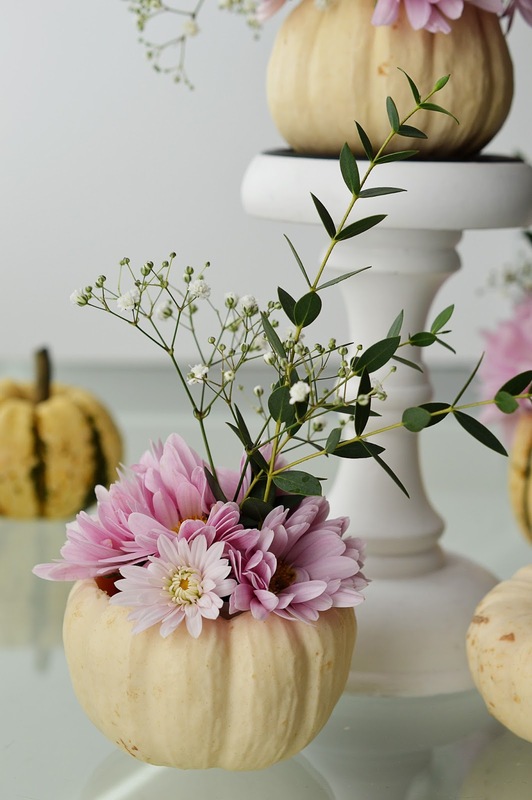 Grab a bundle of flowers and get carving! 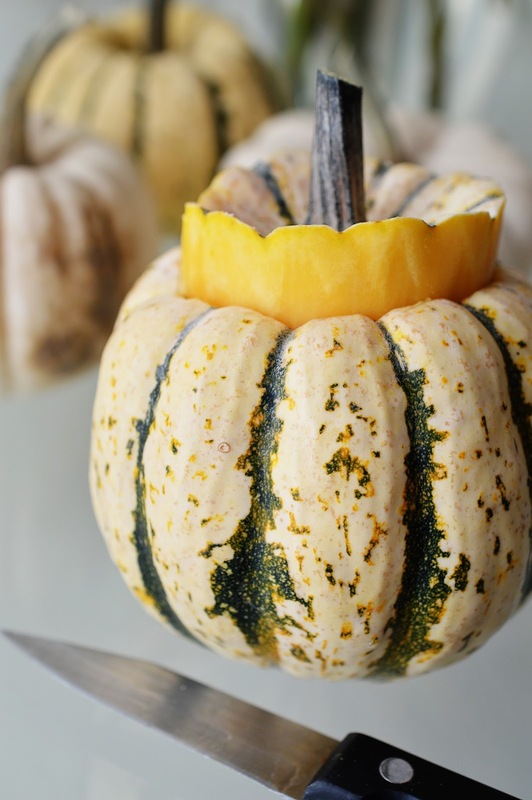 Step 1: Cover your workspace with newspaper, then remove the lid of the pumpkin with your knife. 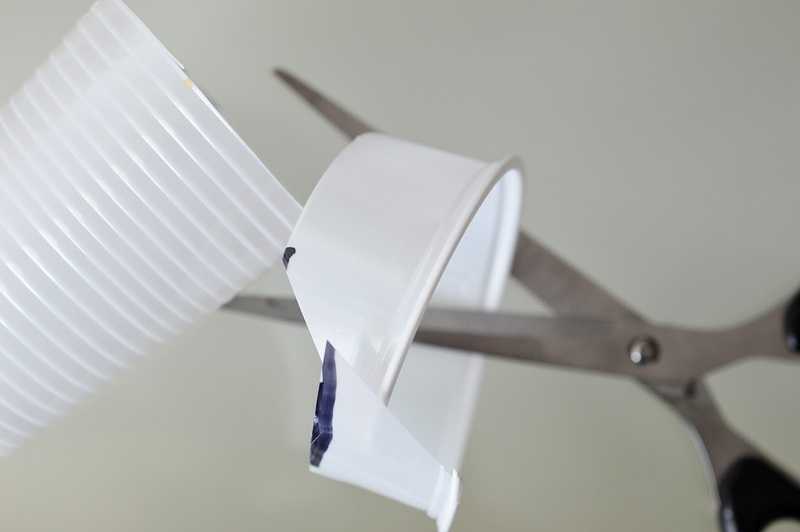 Cut a hole around the stem big enough to fit the plastic cup inside. 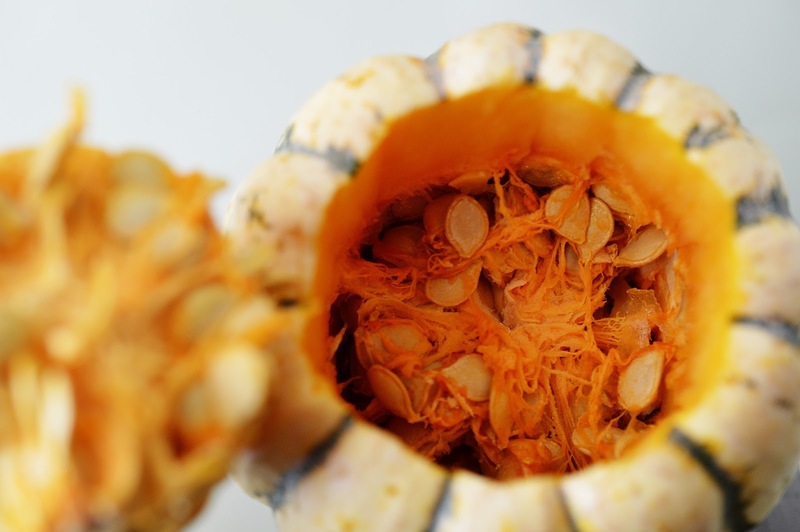 Step 2: Using a spoon, scoop out the pulp and seeds of the pumpkin. Put in the bowl or straight in the bin. 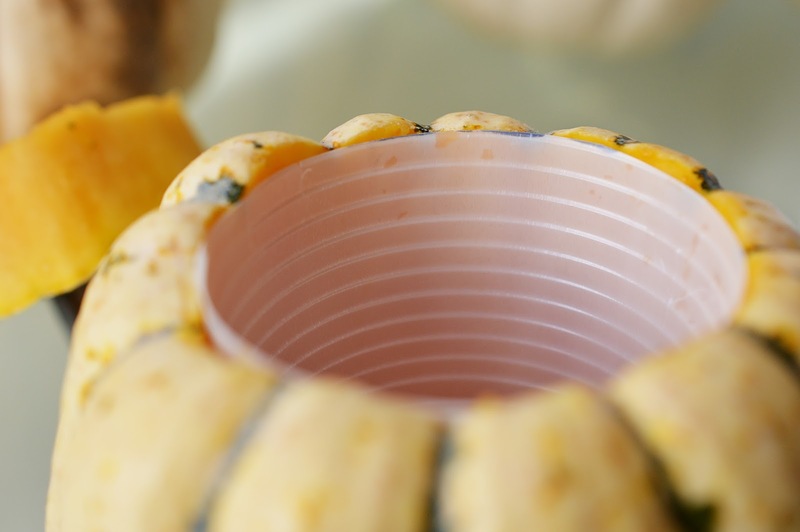 Step 3: Place the plastic cup inside of the pumpkin. 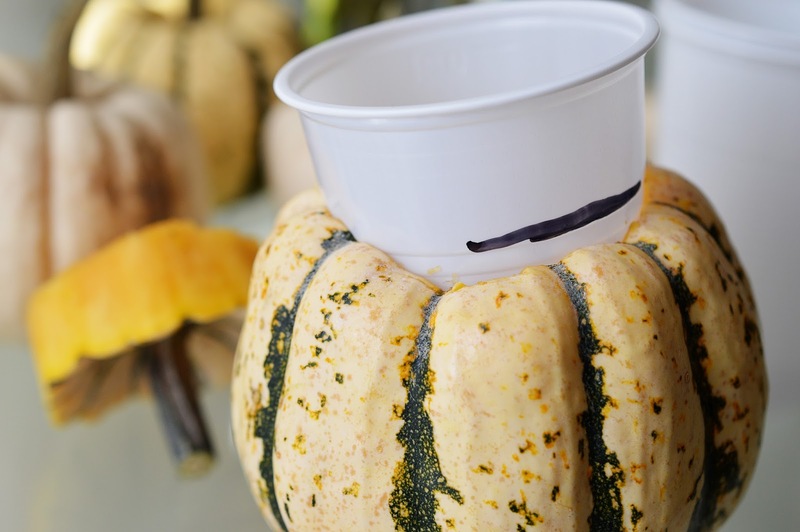 Using a permanent marker, mark the top of the pumpkin and shorten the cup accordingly with a pair of scissors. 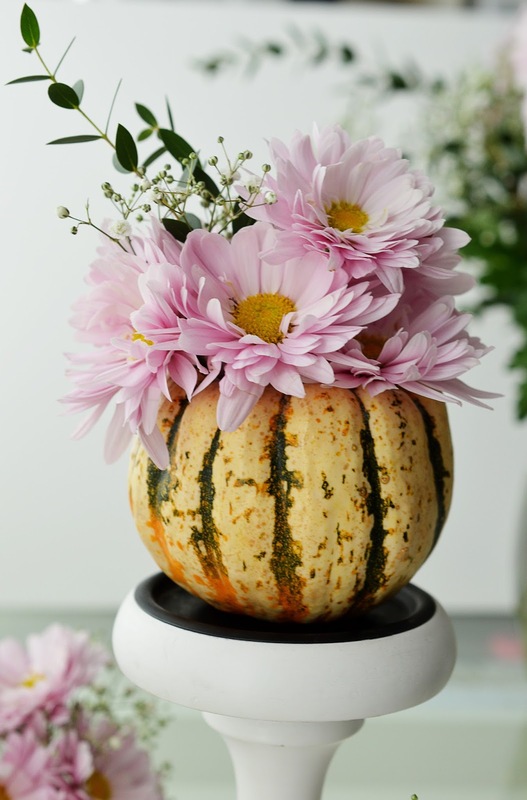 The cup shouldn't be taller than the pumpkin, but fit inside perfectly. 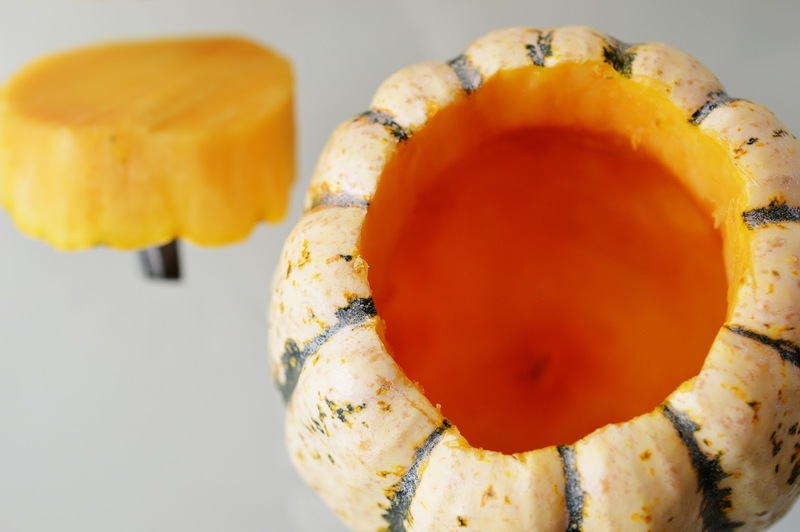 Step 4: Place the cup inside of the pumpkin and fill with water. 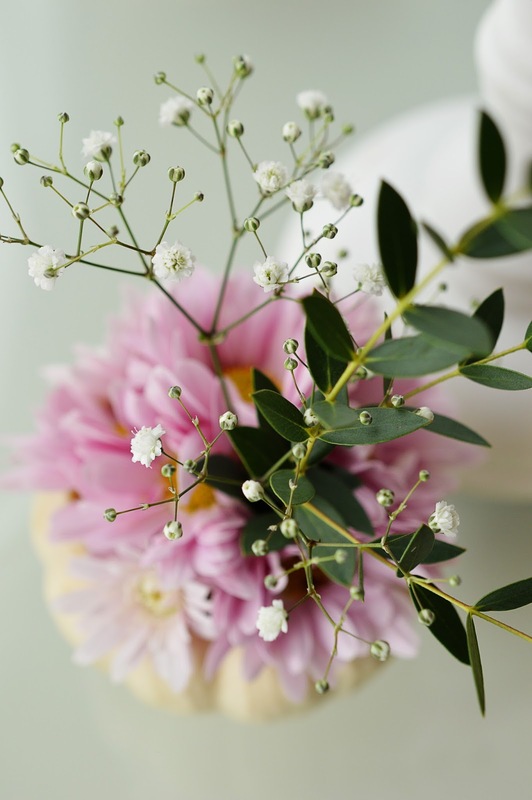 Arrange the flowers in the cup as you would in any vase. 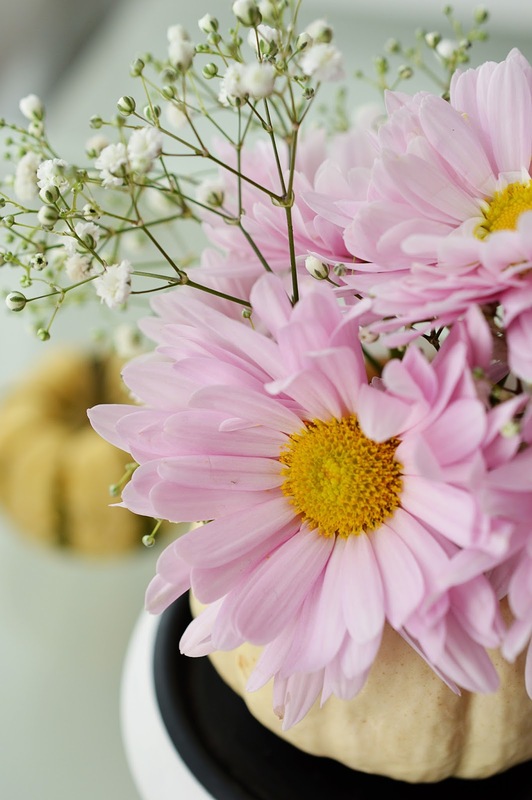 Make sure to add enough flowers to cover the plastic cup. Sadly I saw this post to late. I will save it for next for sure. 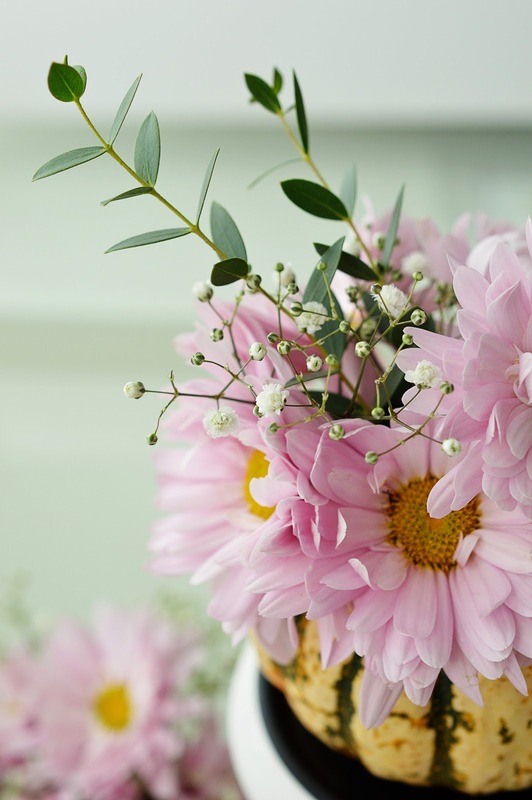 That is such a pretty idea! Wonderful idea! 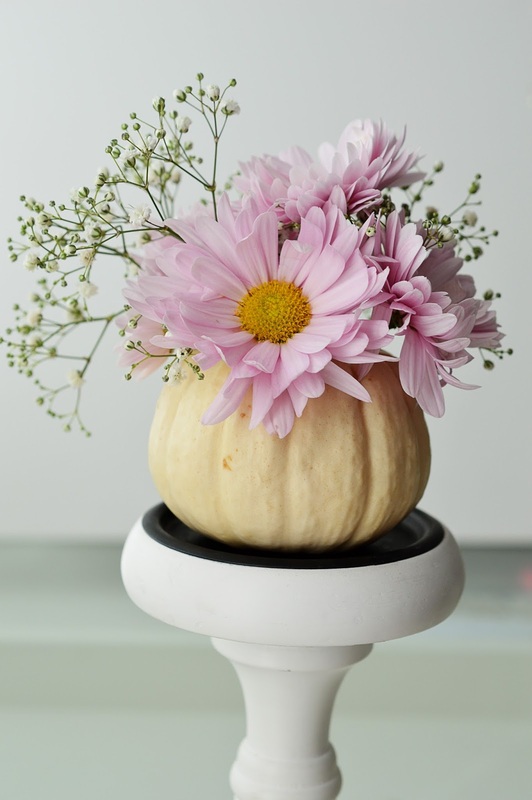 The pumpkin vase looks perfect with its ingenious structure.DIY lantern making tutorial.